The primary purpose of building a blog like Tecwic is to reach out to every sort of audience out there. From tech savvy geeks to those completely unaware of the technological advancements, we wish this to be a meeting point of people from all kinds of communities. In our quest to incorporate technology and business in every aspect of your life, we will cover topics that span tech information from an assortment of cell phones to a myriad of softwares, explain advanced digital marketing strategies and present cutting edge material on IT and networking. We will provide not only a digital shopping platform but will be your facilitators in maneuvering through the tech world. “To make technological information rampant in a society so as to benefit and empower every individual in the societal hierarchy. To inform our readers of all the latest developments and advancements in the world of technology”. “To expand into a formidable entity in the world of technology, to become a trendsetter in an age of science”. “Honest hard work. To inform. To engage. To reform. Our crew is made up of entrepreneurs with exceptional wit and dedication who celebrate difference”. In a world of fast paced, cutting edge technological advancements, anyone without good resources is left behind. We, at Tecwic, wish to bring the waves of progress in the tech world to a larger, more diverse audience. We realize the importance of a uniform distribution of technology, and acknowledge the need for it, which is why we aim to cross barriers and create a platform where people from different educational backgrounds can connect more with the tech world. Bringing you the latest from every corner of the tech world, this online magazine will cater to the audience’s every need and whim. From innovations to all the latest info on new gadgets, our team will scour the digital world for any developments and bring them to you. To make it from a fresh leaf in a buzzing digital world to becoming one of the leading giants in the tech world, we need people with vigor who are earnest about the content they produce and are committed to giving only their best. 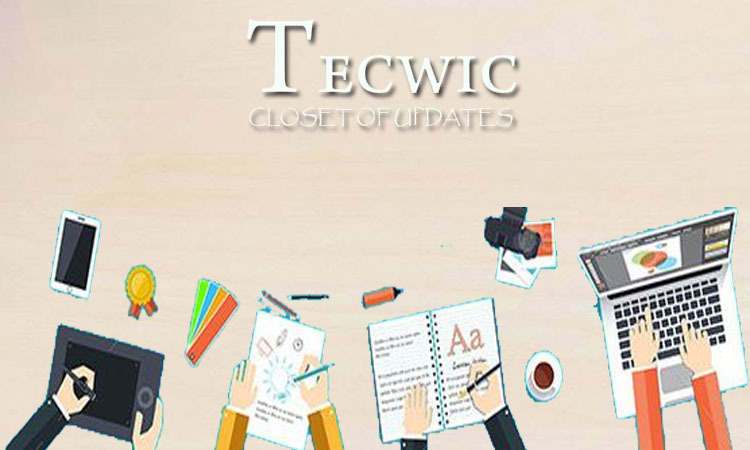 We, at Tecwic, don’t just want to build a team of skilled experts, but a family that encompasses the boundaries of teamwork, enthusiasm and devotion to the task at hand. Considering the requirements of such an extensive blog, we are hunting for talented, hard working freelance content writers, and wise and brilliant editors, who can offer more than what appears to the eye, and bring new twists to every plot. From captivating pictures, to stimulating written pieces and enthralling videos, we’ll consider it all!